Lemosho route climbing guide. Duration tour: Seven days, six nights. Duration: 7 hours, about 15 km. 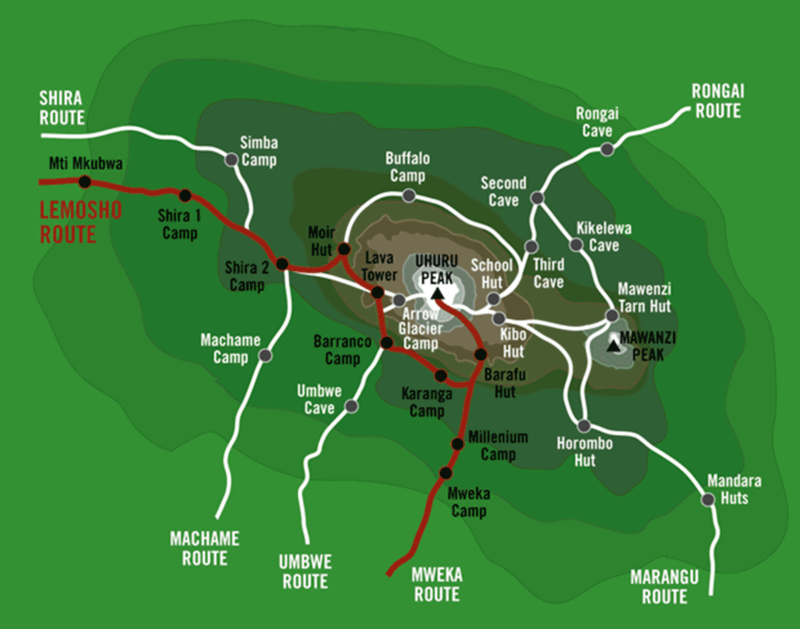 From / to Barranco Camp (3950 meters) – Karanga Camp Site (4000 meters). Duration: 3 hours, 4 km. Plus € 40 pp for Forest fees and transport. If you have reached Stella Point or Uhuru Peak, you get at the entrance / exit a certificate with the message that you have reached the highest point in Africa. Climbing Mt. Kilimanjaro is often taken lightly, because we no ropes, irons or other attachments need, this does not mean that you will reach the top. 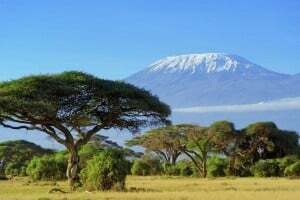 Every year approximately 22 000 people start the climb to the summit of Mount Kilimanjaro only 60% gets the actual summit also (Uhuru Peak). 40% do not make it have different reasons, it may be because their condition is not good enough, or that they deal with altitude sickness get (throbbing headache, vomiting, nausea, and feeling tired and lethargic), in most cases, this time will be noticed by your guide, but unfortunately there are still too many incompetent guides, or not notice this too late.